You may drink caffeinated beverages, such as coffee or tea, in the morning because they offer a boost of energy. Caffeine is a stimulant, and when you consume caffeinated foods or drinks, it passes quickly to the brain and stimulates the central nervous system, relieving fatigue or drowsiness, especially upon waking. As a central nervous stimulant, caffeine has a variety of effects that can be associated with lightheadedness. Caffeine can increase your heart rate, and depending on your cardiovascular health, this could produce a sensation of lightheadedness or dizziness. In addition, caffeine has a diuretic effect, meaning is helps rid the body of excess fluids. In some cases, especially if you do not replace fluids by drinking enough water, this may lead to dehydration and lightheadedness. Limit your caffeine intake to 200 to 300 mg per day, suggests MayoClinic.com. Have no more than two or three 8 oz. coffee drinks or three or four cups of tea a day. Check the caffeine content in sodas and energy drinks so you stay within the 300 mg maximum. In some cases you could drink up to five 12 oz. servings per day. In most cases these guidelines will help you limit the possible negative side effects that may result from heavy caffeine consumption, such as rapid heart rate and lightheadedness. Caffeine is an addictive substance, and you may develop a dependance if you consume coffee or caffeinated beverages regularly. If you decide to cut back on your caffeine intake or cut out caffeine, you may experience side effects such as restlessness, headaches and anxiety. Many of these withdrawal symptoms, especially anxiety, can trigger sensations of lightheadedness. To avoid unpleasant side effects produced by caffeine, carefully control your intake of caffeinated substances, advises MayoClinic.com. 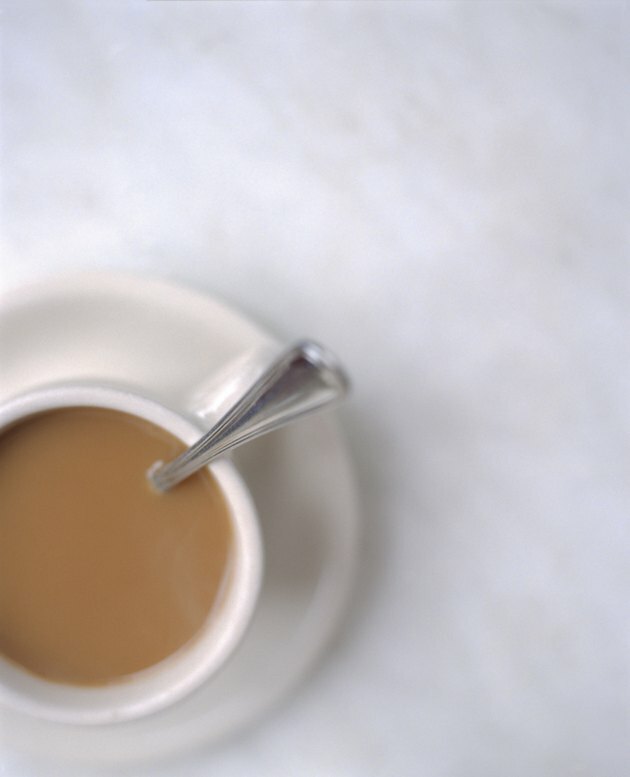 If you enjoy coffee or tea in the morning, consider alternating between caffeinated and decaffeinated drinks. Drink plenty of water to offset the diuretic effects of caffeinated drinks. If you have been diagnosed with a specific health condition, consult with your doctor about your use of caffeine, especially if you are consuming large quantities or experiencing side effects, such as lightheadedness. Can Caffeine Make You Nauseous?